James and I were married in July of 1995, after a whirlwind courtship of less than two months. Jessica instantly fell in love with her new daddy (who later legally adopted her). Little did I know how quickly life would be changing! After discovering that James’s children were in serious trouble where they lived several states away, we sought and quickly won custody. I won’t go into the details, but suffice it to say that God worked absolute miracles and supplied all of our needs as He required us to trust Him through a heartbreaking and frightening ordeal. When we went to church that Easter Sunday 1996, it had been less than one year since I had been a single parent, living alone with one small child. Now, just months after marrying James, I was the mother of five children, pregnant with a sixth child, and struggling with hormones and morning sickness! Talk about overwhelming! One of the children struggled greatly with disturbing memories and unforgiveness. Because of all that the children had been exposed to, we faced many staggering trials. To say that retraining was necessary would be an enormous understatement. In addition, there were the typical emotional struggles that any child would experience during such an upheaval. We reminded them of how important it was to pray for their birthmother and how they must learn to trust God’s sovereignty in bringing us through various trials. As difficult as the transition was, never once did any of the children ask to go back. 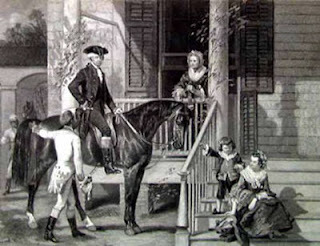 Yet, while they were glad to be with stable and loving parents, they were less than happy about their new boundaries. We still had a long way to go before God truly made us a family. God showed me that He wanted to start with my own sinful heart. Before the children’s arrival into our home, I had a Shirley Temple-like fantasy of what life would be like when they came. However, it wasn’t long before reality hit and real life began. I found myself struggling with guilt and frustration. As much as I prayed for and loved these four children, I worried about my lack of natural affection for them. At times, I felt like I was babysitting someone else’s unruly children, rather than tenderly nurturing and training the children God had placed in my life. I was racked by guilt. What was wrong with me? This was compounded by the significant discipline issues we faced. I struggled with pride and embarrassment when we went out in public; and I could detect in my own wicked heart, a growing sense of bitterness. I worried about the new influences that had invaded our home. As the birth of our sixth child approached, I became depressed and fearful. Jessica was still very young, and had been sheltered in a completely Christian environment. Now she was learning “new” words; finding out about ungodly movies, slang, and music that I had carefully protected her from. She was suddenly getting a large dose of the “world,” and my “mama’s heart” was terrified. God had taught me to trust Him with my child while I was a single mother; now He wanted me to trust Him to protect her in the midst of difficult times. He also wanted to stretch my mother’s heart to fully embrace the little ones I had just inherited. He wanted me to be obedient, trusting, and faithful. He wanted me to die to self. He would be faithful to give me the “supernatural affection” I so needed and desired; so that I could truly love and nurture all of my children, not just the ones I had given birth to. He would be there leading me; I just needed to learn to trust Him. God did a work in my heart and a genuine and tender love for my “adopted” children began to grow. I could no longer imagine life without them. The typical “natural affections” and even jealousies that a mother feels for her little ones began to develop. As we grew together as a family, I wanted all of my children to be confident and secure in my love for them. One thing I did in an effort to communicate family unity was to place some of the very few baby pictures we had of the older children into collage frames, combining the baby pictures of everyone in the family. I tried to communicate, in various ways, the overwhelming love God had placed in my heart for each of my children. While we saw consistent progress, our two oldest children were nearing their teen years and in many ways, it still seemed to be an uphill battle. James began to sense a growing conviction that we did not have the hearts of our children. We couldn’t figure out what we were doing wrong. We were involved in the life of our church and were a part of all the children’s programs. We disciplined our children diligently; we prayed with them at bedtime. What else could there be? It wasn’t until we began to homeschool all of our children that God began a massive reformation in our hearts and in our family. We could hardly believe it! I remember waking up one day and telling my husband, “I’m almost afraid of what God is going to call us to do next!” So many changes. So much studying. So much rethinking of what we had always believed. Our family reformation had finally begun—we hung on for the ride! We stopped handing over the training of our children—the hearts of our children—to others. Not only did we begin homeschooling, we also began attending a church that didn’t segregate the family. We began worshiping and singing as a family each day; and doing things together. We no longer had individual social lives with individual friendships, and we declined most invitations that fostered this. We became a deliberate family. We discovered that we could have in our own family the comradery that is found in sports teams or amongst those involved in youth or missions groups—only ours would last for generations. As we sweat, prayed, worked, sang, wept, and played together we grew closer. Not only were we mother, father, sons, and daughters, we were brothers and sisters in the Lord. We served together; practiced hospitality together; worked in our ministry; learned together; sang in harmony; and together we loved and cared for the bounty of babies God blessed us with! This is what made the difference! Loving, serving, and ministering together! When we looked at our children we began to see our grandchildren, our great grandchildren, and the generations after that. We began to parent with vision. Most people are not even aware that all of our children are not ours biologically. In fact, our youngest children are still not aware of this. Thus far, we haven’t been willing to share the ugliness of adultery with such little ones. Though we have surely shared our story with thousands of people in private email groups, with church leaders, in counseling sessions, with homeschool leaders, and with close friends, we have still tried to be cautious of the settings in which we shared. Some have insinuated that we “hid” our pasts to create a false impression of who we “really” are. This couldn’t be farther from the truth. In fact, the only reason those who have made this claim even know about our family history is because we shared it so openly—perhaps even too openly at times! While it is hurtful to be misrepresented, we realize that God is in control and we pray that our story can help someone else who is struggling. Giving birth to a child is the easy part. Training them in the nurture and admonition of the Lord day and night is what takes work. While I may have only given birth to six children, by God’s grace, all ten of my children have this mother’s heart—all ten are equally my children. I love them all and am grateful to God for the overwhelming blessing they continue to be in my life. While there have been times when James and I considered focusing on a ministry to “blended families,” we didn’t really feel qualified. We neither felt like, nor functioned as a blended family. We have never dealt with visitation issues, or the many other struggles and conflicts common to the blended family. We never called our children step-children, and they never referred to us as “step-parents. We were simply a family. We found we had more in common with families who had adopted, than anyone else. God has certainly blessed our marriage. He has restored to us the years the locust devoured (Joel 2:25). Our children from our past marriages are whole and pure. They are ours—gifts from a merciful Father. Although each of them are now adult members of our family, in our hearts, they are still the “little ones” God used to knit us so closely together. The five children from our union together are the reward described in Psalm 127:3. As each new child was born, it was a reminder to everyone in our family of God’s mercy and grace in our lives. We still have struggles; we are not perfect by any stretch of the imagination. We didn’t begin ministering to families because we thought we had it all together. We began sharing our hearts because we were amazed at how merciful God had been to us. We knew that if God could reform our family, He could do great things in every family willing to submit to His ways. God used our painful experiences to build within us a passion for family and for future generations that has been used to counsel many around the world. God took the broken remnants of our sinful pasts out of the ashes of despair, and created a family that understands and appreciates joy, forgiveness, and redemption in Him. He has done more than bless us with family; He has reformed its ruins. To God be the glory! 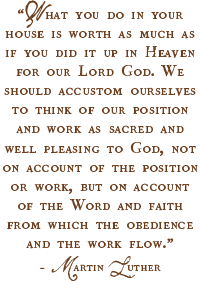 Copyright © 2009, Family Reformation® Ministries. All rights reserved. The duplication of this article in any format without the express permission of the author is strictly prohibited. Thank you for your openness. I know that your story is helping others. God does help us in our trials so that we can be a blessing to others going through the same thing. I am one who never realized that you were a “blended” family. 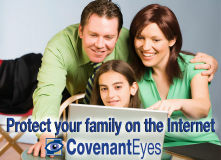 I have followed your family ministry for years, I have read your blogs, visited your booth at a homeschool convention…I saw only a loving family, and unity. Many blessings on you dear sister. Thank you so much for this. I was a single mom with three boys when my hubby married me. he had never been married before. He went through seminary, but every ministry door has been slammed shut because of my previous marriage. I feel as if Christ is constantly being re crucified and I wear a scarlett letter when going into church. as a result my husband and I are “gun shy” of even going to church. we live in a rural area of the Bible Belt. so thank you… thank you so much for this testimony….. I love all the “thank you’s” and must add mine to the list. I finally read through both yesterday’s and today’s posts and am overwhelmed by your story. Praise God for his kindness to you, James, and your children. And then yesterday morning I saw your testimony and it was just what I needed to read and to have reaffirmed to me. Thank you from the bottom of my heart, Stacy. Thank you for sharing such a beautiful story of God’s love and mercy. Your family is an awesome example of God’s love and redemption. I so appreciate you and your husband’s ministry. What a blessing you are. Thank you so much for being so open here. Our family started out before marriage and sometimes it is very hard to share that fact with others. We, as homeschooling families, are so quick to place others on pedestals. It is a very dangerous practice and we have learned that even those families that we have placed on high pedestals are not perfect. We all sin and it is only through God’s grace that we can become a testimony of His redeeming love and care. True beauty from ashes. Thanks again for being open to share how God has done a mighty work in your family. Thank you so much for sharing from the heart. What a beautiful testimony of God’s grace in your lives. stacey… i want to thank you from the bottom of my heart for your transparency. these articles have shed a hopeful light on what is for many (myself included) a depressing and dismal topic. may the Lord bless you and your family *richly* as you serve Him? Stacy, what a beautiful testimony to God’s grace and mercy! Your posts always speak to me (I am the result of a teen pregnancy and was adopted by my maternal grandparents — they were my parents in every way that mattered.) and I appreciate your openess on this issue. I also had no idea that you were a blended family and can only see your genuine love and devotion to your 10 children through your blog posts. I too was born to a teen mom (the day after her 16th birthday). She died when I was five, so I never got to “meet” her. I was adopted when I was 2 years old. But I did meet my birthmother’s parents and all 7 of her brothers and sisters; we have in fact become very close. God is good. Thank you and God bless you for your openess about your situation. My husband and I were both married before, he did not have any children, I had one. We met, fell in love and have been so thankful for where God has taken us. For so long I heard that I was going to hell for divorcing, that I wasn’t truly a Christian. It took me 6 years to accept the forgiveness that God so longed to give me. Because of the shame and guilt I felt. My husband and I are pregnant with our 5th child and never have used the word “step” in our family. We do have visitation issues and working through the fact that my son sees his dad two weekends a month. Though we are not all there, we thank God for His mercies and love and how He shows us so much. We desire nothing more than to be the family He wants us to be. Thank you for your honesty, if more Christian families were transparent instead of perfect, I feel that so many people would be drawn to Christ. But that isn’t the way it is right now. Your testimony is amazing and appreciated. I have read your daughters’ blogs for a while now and so many times have been encouraged and inspired as I saw through their pictures and writings your family working together as one unit, not many individuals, to further the Gospel. Even in the little things your family’s devotion to Christ is evident. Thank you so much for opening your heart and sharing this beautiful picture of the redemption and healing that Christ gives. He has used your story to bless so many people! Thank you ladies, for the encouragement! You are a blessing. Dear MinWif – Yours is surely a sad story. Please contact me privately if you would. Persuaded – I am praying for you. Please feel free to write me privately if you would like. Katheryn – Thanks for sharing. It sounds like God has done a wonderfully redeeming work in your family too! I hope more people will testify, as you have done! Tiffany – Great name! ;-) Thanks for writing. 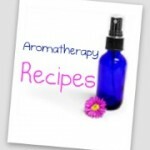 Our Tiffany has enjoyed sharing on her blog and is a huge blessing in our family. I’m glad it shows in her writings. What a great story, thanks for being open with us! I didn’t even know you were a “blended” family, I guess that all the children were your and James and the though you you being married before didn’t even cross my mind. Though I will admit it makes me feel better because for such a long time I’ve seen all these families start our ‘right’ if you know what I mean. and thought I not of marrying age yet I was starting to feel like I didn’t fit within the Christian community. Everybody seemed so perfect. and I’m certainly not perfect and “neither is my family” would be a gross understatement. Thanks. I thank you for sharing your personal story. Your story has given me so much hope. My husband and I both went into our marriage “tainted” and I thought it would be the black mark on my life. I thought that is all people would remember about me. I am so grateful, that what Satan intends for evil, he intends for good. Our God is merciful. Thank you for sharing your story. I also pray it will give hope and comfort to mothers who recieve the blessing of older children. I have often thought about how would I parent a an older child who came to me later in life. I can come to you for wisdom if we ever adopt older children. Thank you. Thank you for sharing your story. I can’t really add more except to say that many families have grown together in Christ. Our generation just grew up in a time where divorce was becoming so common and acceptable, and cohabitation was becoming less of a taboo. My husband and I lived together for 3 years before we married. At this point, we are somewhat unequally yoked, but I have hope that God will woo my husband, and he will become the strong head of our home that we need. We do attend church, and he attends with us. He asks good questions. He also has an incredible knowledge about history. I have great hope. When the time comes, he will be a truly amazing soldier for the Lord. Oh stacy, what a beautiful witness to us of God's goodness, His faithfulness and His love. Thank you so much for sharing with us all how the Lord has truly restored the years of the locusts. I had no idea that you & James had gone thru such heartache and are now on the other side enjoying the blessings our Lord has so graciously bestowed upon you & your beautiful family. I believe that your witness will encourage many . I don't know if I have shared here or not, but I have been blessed with an unbelieveing husband. I say "blessed" because I believe thru this trial God has taught me so much about being the "chaste" wife that is spoken of in 1 Peter. There are many hard times, but God has been so faithul. He has filled me with love for my husband and I know this is so much better than the alternative of what the world would have us do. Thank you Stacy for being transparent and sharing your heart with us all. P.S. stacy, I also could relate to your feelings about wanting those loving “mama” feelings for the children God called you to love and nurture, although you did not have them in your womb. Very much like the feelings I went thru as I adopted 5 of our 10 children — with some of them those mama feelings came with time, and at times I would feel guilty because they just weren’t there….. but yes, homeschooling has helped and living a “family centered” lifestyle has helped so much! We too enjoy a family integrated church, where children are not sent out. It’s precious. Thank you so much for your testimony of how wonderful and gracious our Lord is. I am a “grace widow” for almost a year now with three girls. I am a member of a local body that God has so blessed me with. I am now under the elder’s care. The church has been so amazing to me. They are renting a home for me and providing as I homeschool my young three children. I cannot express the gratefulness I have towards all of the families in the church that are helping through their tithes and to the Lord for laying it upon their hearts to care for the fatherless and the widows. I continue to pray that God would bring a godly man into our lives, one that would protect and provide for us and most importantly lead us spiritually for God’s glory. Praise God for His faithfulness and love to all of us that are called His own. I am very thankful for your honesty about the struggles you endured with your “new” children. I have thought much about this as it could possibly be in God’s plan for me. I appreciate your honesty and your desire to throw yourself down at the cross and seek God’s will for your life with these children. I praise God for the change of heart He gave you and for the changes that occurred in your family. May God continue to bless you and the generations to come for His glory and furtherance of His kingdom. To the praise of the glory of His grace ~?~ God is so good! What may be meant for evil falls short of the plans of the Holy Sovereign in lives. Thank you for sharing. I have wanted to read both articles, but I’ve been too sick lately. We also have a past that we aren’t ready to share with anyone just yet. Although it feels like we are always being judged for it. I hope that some day I have the courage to share with others as you have. Your post was wonderful. Thank you for sharing your testimony with us. It is awesome to see how God has helped you to become a family unit, and heal the wounds you have been through. I LOVE the phrase, “A Deliberate Family.” This is truly what my husband and I are seeking! Many times we are “singled” out or misunderstood by our own church family. At times, it is lonely, and even hurtful, yet, we hang on to His truth for our comfort. I appreciate you and the encouragement you give through your words! I have read and “soaked” in many of your articles, but this is the first time to make a comment. I just wanted you to know that even down here in Texas, it is refreshing to hear exhortation and sound teaching from a sister in Christ. I am in tears reading your testimony. I have felt so alone, in society and in the church, as a woman who has a “past” because I suffered the hurts and rejection of my first spouse when he turned away from the marriage to have his needs met elsewhere. I held on to my marriage, fasting and praying for God to restore. . . to see my now ex-husband leave my two year old daughter and myself behind without a care. I can relate to your feelings here in so many ways. Thank you so very, very much for following God’s leading in sharing this with your readers. I have since remarried a Godly, loving man and have given birth to two more children. We have a blended family with our three children, and yet, most people who know us, never suspect that our oldest isn’t my husband’s biological daughter. Praising God with you that He sets the solitary in families and restores what the locust has eaten! Praise GOD! My husband seeks to eventually be in full-time ministry. I have been shunned and looked down upon because of my first marriage so many times; I pray that God leads us into a denomination and calling/ministry that will allow my husband to carry forth the calling of God in his life, without my past keeping us from walking in God’s Will. God bless you and James for the beautiful picture of restoration you show to the world. We are also homeschooling in part due to the encouragement we have seen here. Also, your post about being quiverfull was so comforting to me. I have a quiverful heart and attitude towards children, but God has seen fit to shut my womb. No more condemnation for those in Christ Jesus, AMEN! P.S. I am so challenged and inspired by you and your book. May God continue to use you for His Glory! Thank you for your beautiful transparency. I linked to your article from a blog entry:http://heath-happenings.blogspot.com/2009/04/deliberate-family.html. May God Richly Bless You. Thank you for sharing your testimony. I can’t believe I am just now reading it, I thought I had been following your blog well but I guess not, lol. Years ago we saw and talked with your family at a homeschool conference. After seeing your children and the way your family interacted, my husband was even more convinced that the lifestyle we were living was right. We saw a lovely family who truly cared about one another. Ok, all that to say, thank you so much for your post, I have printed it out and am reading and rereading, my husband just said tonight he would like to read it to. He would be so grateful if I could just get over this and he could have the woman he married back – the happy one ? I know that divorce is not the unpardonable sin. Christ died for all sin- unbiblical divorce included. We must take the spirit of the Word and know that Christ forgives us. For those trapped in a no-man's land of guilt and anguish over a prior marriage, I would do as I have done: repent of any wrong doing in the previous marriage and honour your marriage vows now. I divorced my violent husband after 25 years of hell on earth….I divorced because he kept coming after me for his "rights" and then after with death threats…It took a long time of counselling and reassurance for me to feel forgiven and not hell-bound. God has blessed me with a wonderful godly man. Bless you, dear Sisters. Thank you so very much! I could literally change your names to ours in many aspects of your testimony! You have a wonderful ministry. I do not think I can thank you enough! Many non-biological brothers and sisters last for generations in missions groups and similar areas too. You and your family are so beautiful. Yes you make a beautiful picture, but more than that is the beauty of Christ in your life. I just discovered this blog and it is so refreshing, encouraging, and inspiring. Four years ago I was a starving mother with 4 small children. We had enough food to eat, but we were hungry for a righteous life. 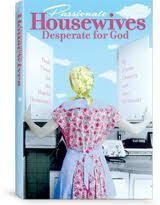 We received a catalog that we never heard of before and in it was a book titled “PASSIONATE HOUSEWIVES DESPERATE FOR GOD”. I showed it to my loving husband and said “I need to read that book”. He ordered it and within a couple of days of delivery it was devoured. 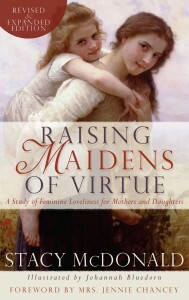 Then I bought “RAISING MAIDENS OF VIRTUE”. That went fast also. Thank you for sharing. You display the biblical model so beautifully. I have learned so many essential lessons. Thank God for you and for His timing. I needed to read this today. My husband was previously married and divorced. He left a miserable marriage and was later divorced by his then wife. One month after their divorce she remarried and then divorced. He attempted to reconcile with her but it was not desired. She since remarried again. When he married her he was not a Christian but did become one during the marriage. Because he has no proof of adultery and because he was the one who abandoned her, I was told he had no right to marry me and that we should divorce. I had what was considered a “Biblical Divorce” as my ex-husband had multiple affairs and eventually abandoned our marriage. I have a daughter who was also abandoned and she is very close to my current husband and considers him to be her father! I have chosen to remain with him because I can’t imagine God wanting her to lose a second father but I feel a lot of guilt and often wonder if this marriage is cursed and we are living in perpetual sin that cannot be forgiven as long as we are married. Do you have any answers for me under these circumstances?